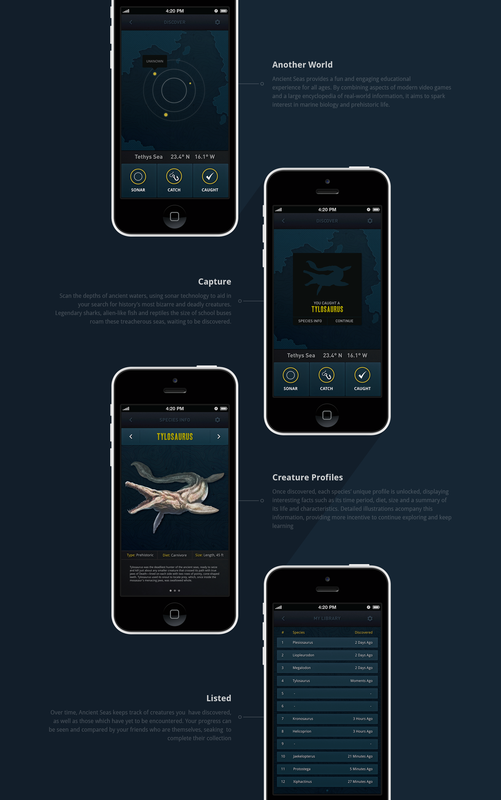 Ancient Seas is an educational app concept for mobile devices, intended to peak interest in prehistoric and deep sea life. Incorporating game-like features and a focus on discovery, the mobile aspect would coincide with a museum exhibit on prehistoric marine species. A desire to learn would be pushed through motivation to discover or "catch" every creature, some more rare than others, in a similar fashion to modern video games.